Its not everyday that an artist can play a small Tuning Fork show (around 375 capacity) one year, and the next year announce a huge Spark Arena show! (around 12,000). Well today is that day, as Billie Eilish has done just that. At just 17 Billie has taken the world by storm with her, I don’t care what people think’ attitude and unique and no-hold-back sense of style and self. This tour is welcomed with open eyes by kiwis especially, as many were disappointed when Billie had to pull out of Auckland’s Laneway Festival in January. This tour is the pop icons third time down here, with shows getting bigger and better each and every time. 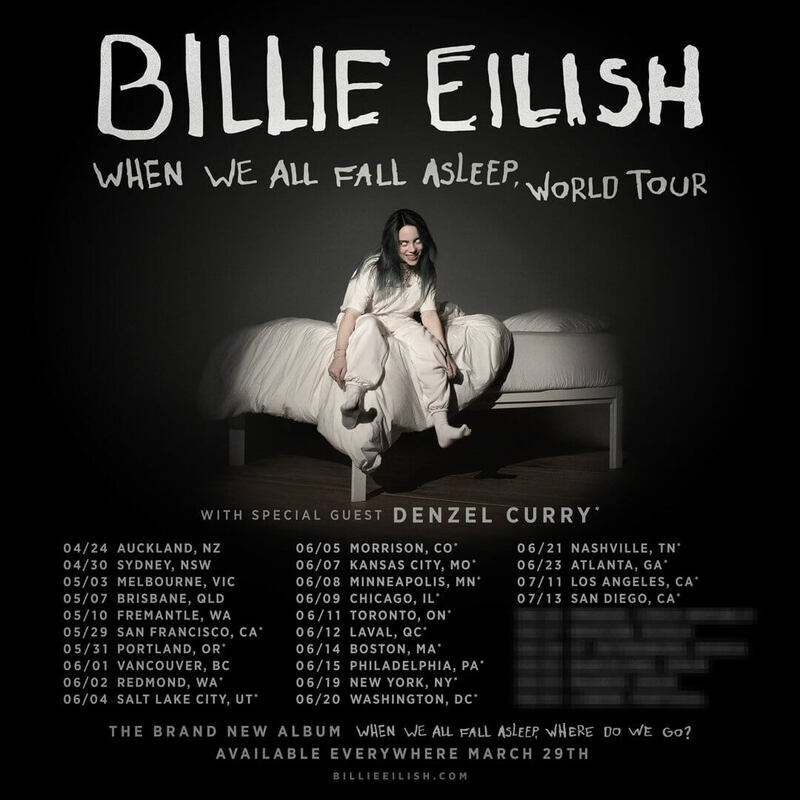 The tour is in support with the singer-songwriters debut album ‘When We All Fall Asleep, Where Do We Go?‘ which is due to be released on March 29th. Last week Billie released a track from the new album ‘bury a friend’ that earned just over 4 million views on YouTube in 24 hours.. The album is available for preorder now. So don’t miss out on getting tickets as soon as they released, as this show is going to sell out fast!